The delicate elegance of nature is conveyed in each piece of Chaya Caron’s jewelry. 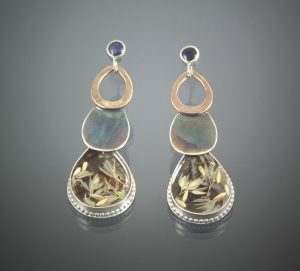 Hard metals and precious stones combine in Chaya Caron’s work. Her jewelry conveys the delicate elegance of nature. “I find inspiration in the beauty of wild flowers, the poetic details of the coastal landscape and the preservation of a moment,” she says. Her latest series of work, “Cascade,” specifically focuses on her journey exploring Maine’s rocky coastline and the Atlantic Ocean. These pieces feature petal drops that create movement finished with a hand-painted patina that emulates wet, shiny rocks or shells. 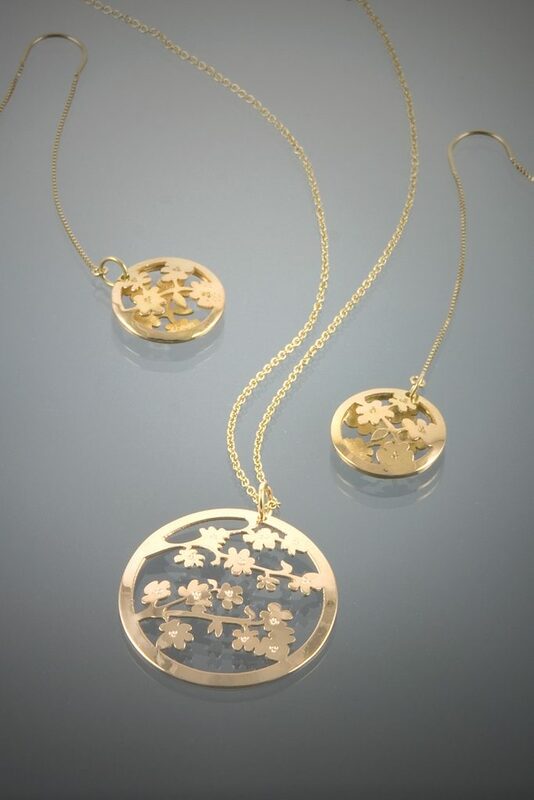 This new line is contrasted by her oldest and popular collection, “Cherry Blossoms.” In this line, dainty pendants and earrings feature branches of intricate cherry blossoms in silhouette. Beyond her inspiration from natural surroundings, Caron seeks to work sustainably. “I call myself an ethical metalsmith,” she says. 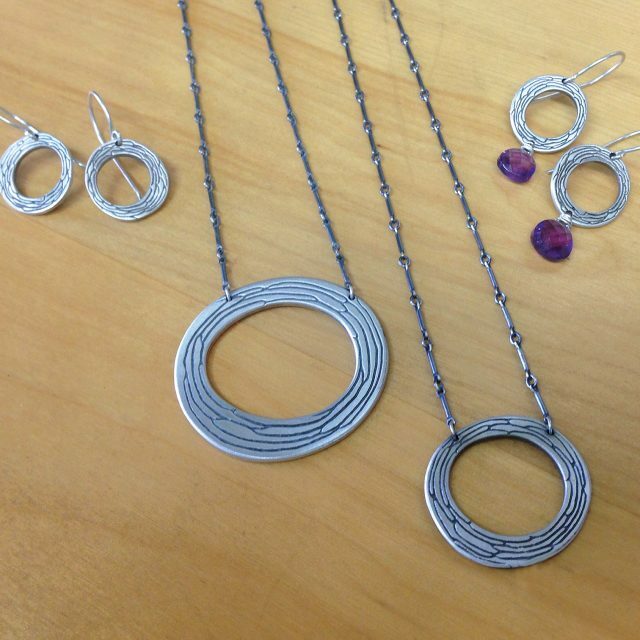 She uses recycled precious metals, fair-trade colored gemstones and diamonds recycled back into the industry. 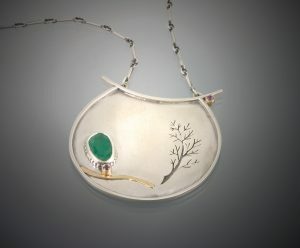 In addition to her various product lines, Caron offers custom work and often creates unique new pieces from jewelry that is decades old. During the month of December, Caron’s studio (22 Cottage Road, South Portland) turns into a pop-up boutique featuring many Maine artisans. Her goal is to provide an easy holiday shopping spot, but also give back to the community with 10 percent of sales going to a youth organization like Big Brothers Big Sisters or Camp Sunshine. Her jewelry will be for sale during this time, but you can find her work online and in her studio year round, as well as at occasional artisan fairs throughout the state.